Baseball will be here soon, even though right now it feels like we’ll never see baseball again. The long, cold, heartless, baseball-less winter is almost over, and the glorious sights and sounds of spring are slowly on their way to your eyes and ears, ready to fill your heart with warmth after the hot stove again failed to register on any thermometer. The first exhibition games are about three weeks away. Sure, we’ll get bored with them quickly — like we always do — but they’ll also be the greatest reminder yet that baseball will be with us every day for a long time. And that’s a great thing. 1. We’ll get to see real games earlier than ever. The regular-season officially starts on March 20 — the earliest start in MLB history — when the A’s and Mariners begin a two-game series at the Tokyo Dome in Japan. You’ll have to wake up super early to watch the games live (first pitch is scheduled for 4:30 a.m. ET), but baseball-starved fans are known to embrace extreme measures. Meanwhile, Opening Day for the rest of MLB comes March 28, also the earliest mass Opening Day in history. The takeaway: Not having to wait as long as usual for Opening Day = great. 3. 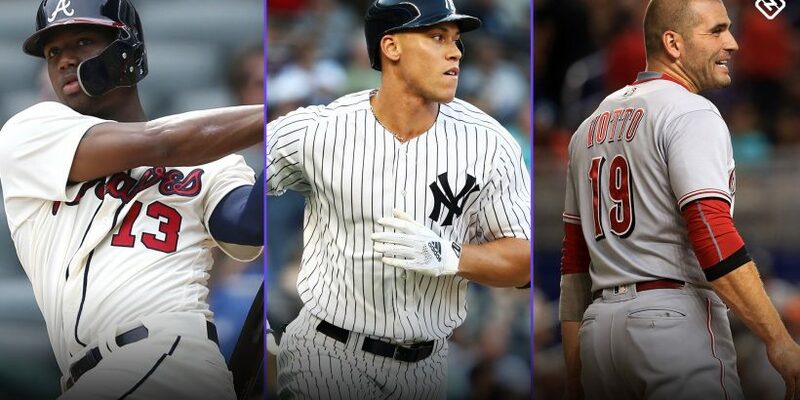 We’ll get to see the continued rebirth of the Yankees-Red Sox dynasty. This rivalry seems to come and go within the greater baseball world. We’re always told it’s the greatest rivalry, but people outside New York and Boston tend to only care when both teams are good and batting for championships. One could argue that the greater baseball populace stopped caring about this rivalry after the Sox came back from 0-3 down in the 2004 ALCS to embarrass the Yankees en route to their first World Series title since 1918. Regardless of whether you buy that theory, the rivalry has made a nice comeback in recent years, thanks to two dynamic, young teams. But, just so you’re aware, the Red Sox own the rivalry now. In any case, it’s good for baseball when this rivalry is strong. 8. We’ll get to see more of Mike Trout in his prime. Trout is entering his eighth full MLB season and is still just 27. He won’t turn 28 until August. As for his talent, well, there’s not much left to say. He’s amazing. He’s led the league with an on-base percentage north of .440 for three straight seasons. He’s led in OPS+ five times in seven full seasons. He already has two MVP awards and, arguably, should’ve won a third. Or a fourth. In short, he’s already one of the all-time greats. I know I said there’s not much left to say, so I’ll just put it this way: Trout is still in his prime, but he’s basically been in his prime for his entire career. 9. We’ll get to see more of Shohei Ohtani the hitter. Ohtani dazzled baseball last season with dominance on the mound and a mighty stick at the plate. And although he won’t pitch this season as he recovers from Tommy John surgery, he’ll still get to DH for most of the season. So even though we’ll only get to see half of the two-way player in 2019, it should be a lot of fun. Ohtani is just as likely to hit a 420-foot homer as he is to leg out a stand-up triple. The only question is how much he’ll play in 2019. The Angels will certainly be cautious with his recovery — he won’t be ready for Opening Day — but in theory he should get to play more than a few times a week like last season. Ohtani hit 22 homers, carried a .361 on-base percentage and was worth 2.7 bWAR as a part-time hitter. So, yeah, more Ohtani at-bats should be fun. 10. We’ll get to see more bat flips and flair. Baseball has finally started to accept that bat flips and personal flair are good for the game, so I expect to see even more in 2019. There’s still work to do, but there doesn’t seem to be nearly the split among players that there was a few years ago. As I’ve written before, baseball needs this youthful energy to help it grow. And the pro-bat flip/pro flair types can help the sport shake its reputation as an old man’s game. 11. We’ll get to see another season of cool throwback uniforms. I love throwback uniforms. I think most fans do. They’re a fun reminder of youth, a reminder of our formative years as fans, a reminder of every team’s history. The Reds will lead the way with a ton of throwbacks to mark their 150th season, and other teams will likely look for every opportunity to don them. But, as always, I renew my plea to see the one modern throwback that’s never made an appearance: The Braves’ 1980s home white jerseys. 12. We’ll get to discuss Tony Gwynn’s 1994 season. 2019 marks the 25th anniversary of the 1994 strike, which is sure to be a hot topic all season given the current state of labor relations. And while the 1994 strike certainly wasn’t great, the anniversary will give us a chance to debate whether Tony Gwynn would’ve hit .400 — and it’s always great to talk about Tony Gwynn. Gwynn was batting .394 at the time of the strike and had a legit shot at the first .400 season since Ted Williams in 1941. Gwynn’s lowest monthly batting average in 1994 was .370 in July. His August average when the strike hit was .475. In other words, he was getting even hotter. Get ready for a lot more talk of this as the 2019 season unfolds. But, again, it’s always great to discuss Mr. Padre. 13. We’ll get to see a Reds team that includes both Joey Votto and Yasiel Puig. Joey Votto is plenty entertaining as a baseball player, but his deadpan/quasi-heel personality makes him all the more entertaining. Likewise, Yasiel Puig is plenty entertaining as a baseball player, but his anything-goes/high-energy personality makes him all the more entertaining. Now they’re on the same team after a blockbuster offseason trade that also sent outfielder Matt Kemp and pitcher Alex Wood to Cincinnati. Baseball stuff aside (and the Reds should be interesting, by the way), just imagine the potential Votto-Puig hijinks. This could get fun. 15. We could see Aaron Judge reach 100 home runs faster than anyone in history. It should surprise nobody that Aaron Judge is already approaching 100 career homers, even though it seems like his career started five minutes ago. But he could make history with his 100th dinger. Ryan Howard holds the record for the fastest to reach the milestone, having gotten there in 1,141 at-bats. Judge would have to hit 17 homers before his 102nd at-bat of the season to set the record. It’s probably a long-shot, but Judge is kinda known for his long shots. 16. We might get to see good Josh Donaldson again. Good Josh Donaldson is exciting. But Good Josh Donaldson wasn’t around much last year because of injuries. Now the third baseman for the Braves after signing a one-year, $23 million contract, Donaldson will look to get back to his Good Josh Donaldson ways of his MVP year in 2015 (8.5 bWAR) and his other recent good years in 2016 (7.6 bWAR) and 2017 (4.8 bWAR) with the Blue Jays. All indications are that he’s healthy and ready to be a major contributor again. Braves fans should be cautiously optimistic. 17. We’ll get to see the A’s as a contender again. The A’s won a surprising 97 games last season and were one of the most exciting, yet under-discussed teams of the season. Their high-powered line-up was a potent mix of youth and experience, highlighted most notably by Matt Chapman (8.2 bWAR), who brought it with the bat and the glove. Not to mention Khris Davis and his 48 homers and Sean Manaea’s strong showing on the mound (4.8 bWAR). The A’s return most of their key pieces from last season, even though they’ll be without Manaea as he recovers from shoulder surgery. But barring injuries or severe regression, it’s reasonable to expect them to contend again. Baseball is always better when the A’s are good. 19. Baseball will be great in 2019 because baseball is always great. Did I cheat to come up with a 19th reason? I suppose you can argue that. But also, I’m not wrong. If baseball is being played, then baseball is great. You can’t argue with science.